How much beef do you order to feed 500! 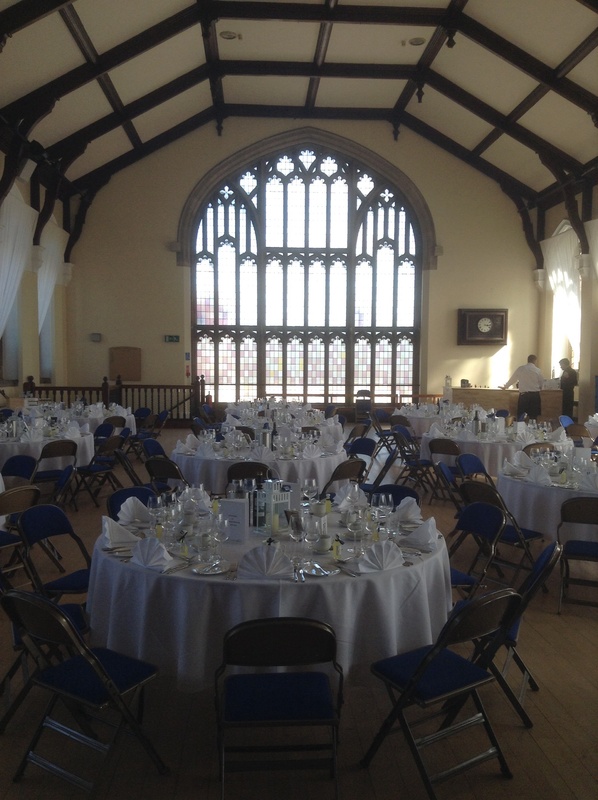 This Saturday we are feeding 500 guests at a charity ball in Hertfordshire. On the menu is new season asparagus, Prosciutto, herb salad, chervil hollandaise, with red pepper tapenade for starters, followed by Blade of beef braised in red wine with dauphinoise potatoes and spring vegetables. For dessert a Salted caramel and chocolate cheesecake with strawberry sauce. 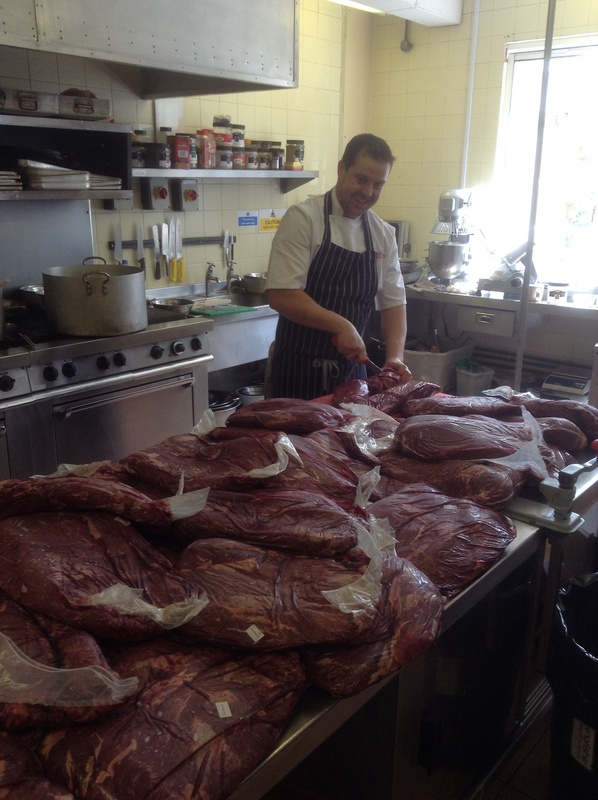 So how much beef do you order to feed so many? 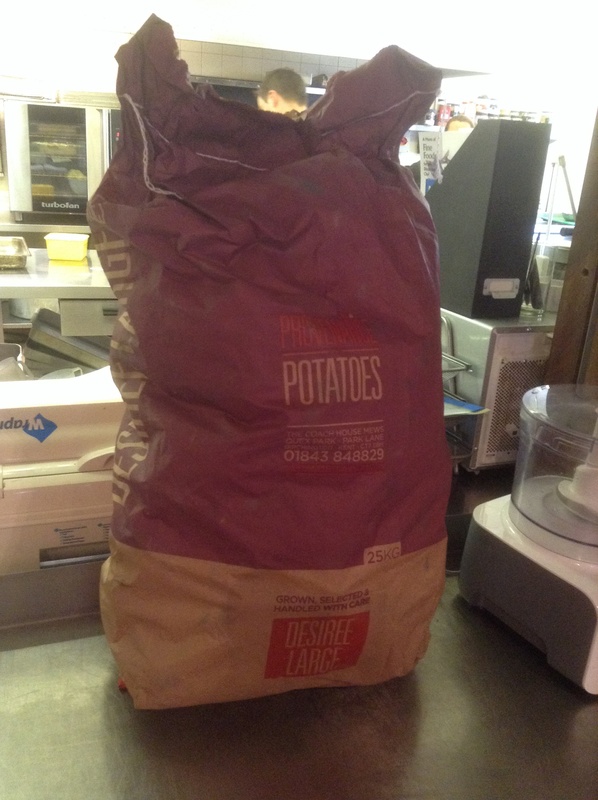 Well, I happened to be in the kitchens when the delivery arrived and I was astonished at the volume of ingredients! Here is a list of what arrived and following are the pictures I took! All meat needs to be diced, the sinew removed then braised with onions and cooked in the stock, wine and herbs. 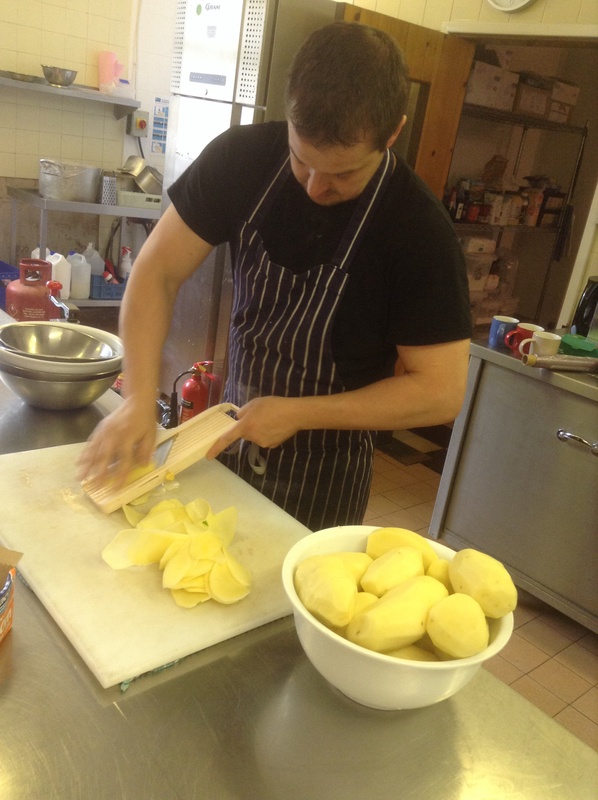 John & MJ, our talented chefs had already made a start on the potatoes. 1 tray of dauphinoise potatoes done, 14 more to go! 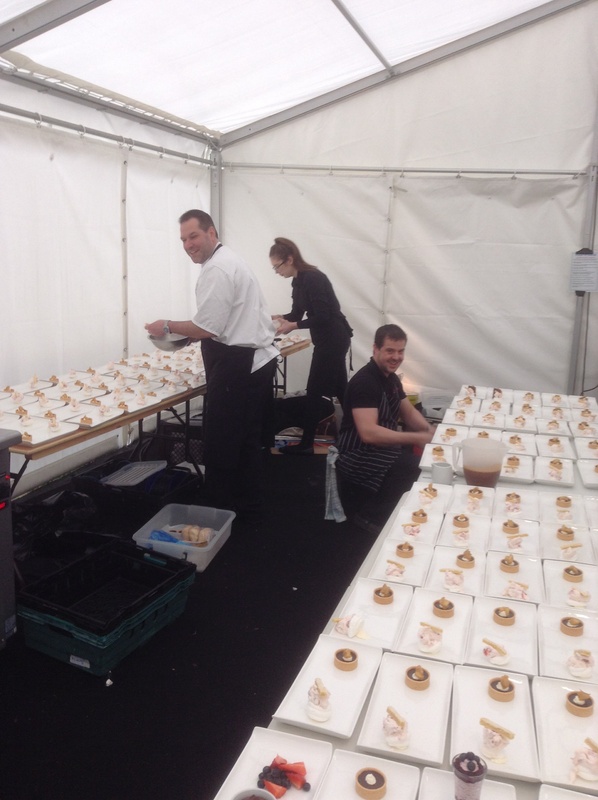 Each tray takes 45 mins to prepare with both chefs working very quickly. All potatoes were pealed, then sliced by hand and layered in the trays. They then cook for 3 hours and are then pressed for 12 hours. They both worked so quickly peeling, chopping and slicing. It was fascinating to watch. I wonder if any of the guests in Saturday night have any idea of the amount if work that goes into their plate of food? Hats of to you chefs! You are truly awesome! Busy end to a busy week! 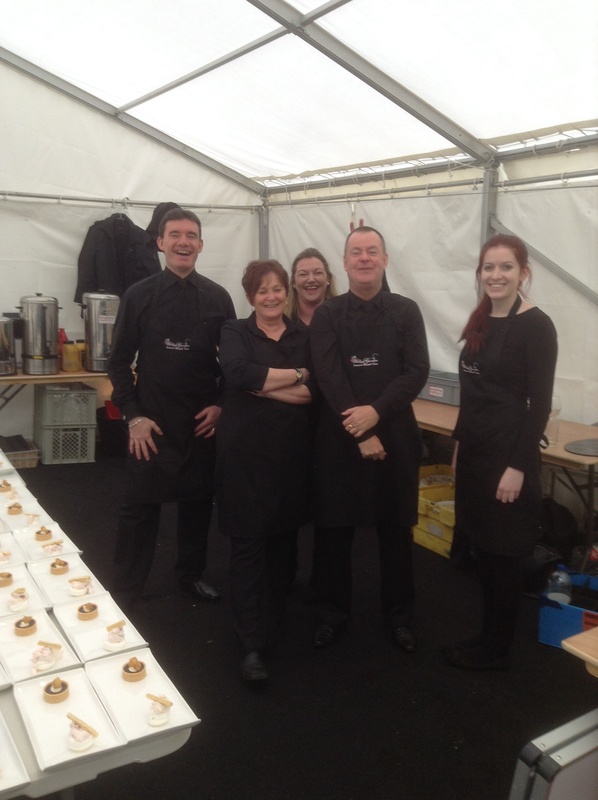 To round of our busy week, we had not one but two teams out catering yesterday. One for a wedding in Flaxbourne Gardens in Apsley Guise and a ruby wedding celebration in St Albans. Again both very different celebrations but both a huge success! We’ve already had lovely complimentary emails from very happy clients! Ian and his team were at David & Helen’s home in St Albans for their ruby wedding celebrations. They were looking for something very relaxed and we were able to deliver this. A marquee in their garden and a Kingfisher hog roast was the solution, accompanied by homemade coleslaw, penne pasta salad with roasted courgette, aubergine & red pepper and fresh green bean, rocket & sugar snap salad; all served buffet style to the guests. With plenty of choice the guests soon devoured the delicious food. The day was made even more special by Helen making an appearance in her original wedding dress that she had worn 40 years earlier. This certainly bought the house down with many gasps and cheers. After a small speech, a Ukelele style 17 piece band played for which David was a member, they serenaded the audience and many of the guests danced. An amazing celebration for a delightful couple. 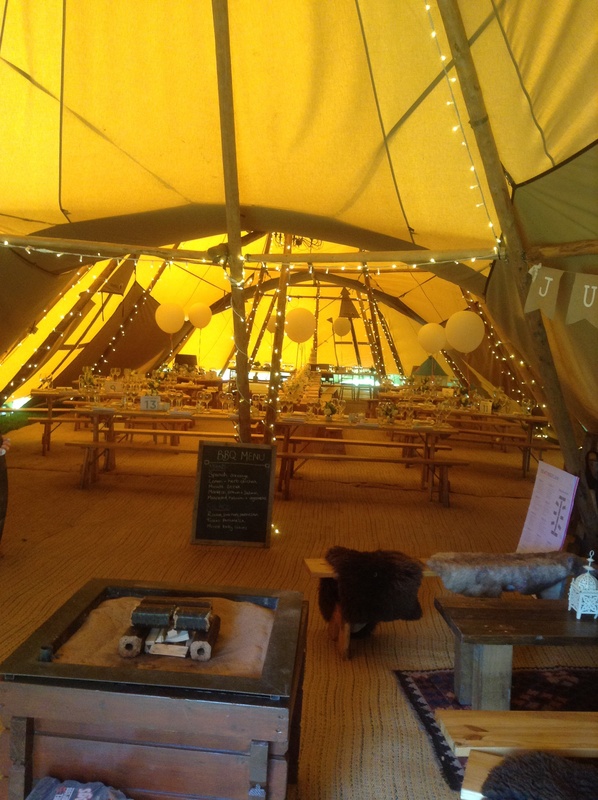 My team and I were at a Rob & Rebecca’s wedding reception, Tipis set up in the beautiful grounds of Flaxbourne Gardens in Apsley Guise, Bedfordshire. Complete with waterfall and tree houses, it’s a fantastic location for a wedding. The guests arrived over the bridge to cocktails specially created by Rob & Rebecca, served in jam jars with stripy straws, they looked very effective. 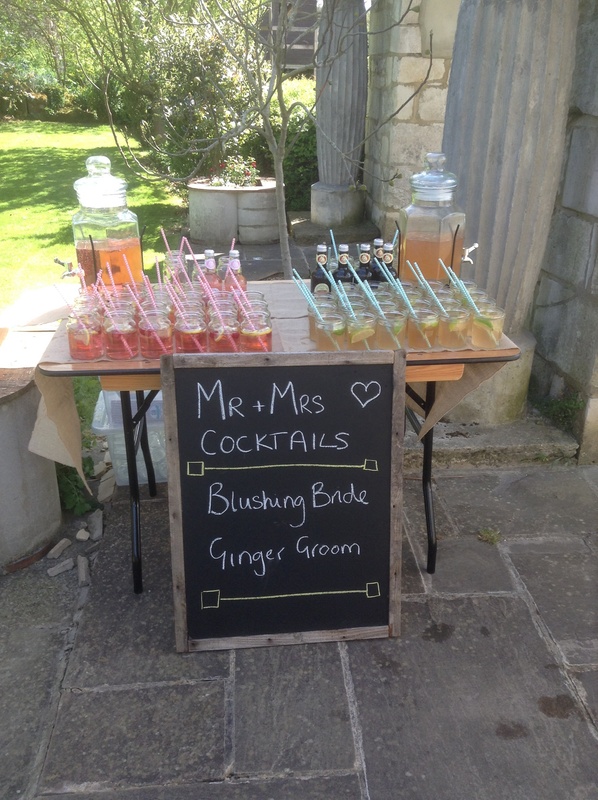 We also served Prosecco and canapés whilst the guests enjoyed the grounds. 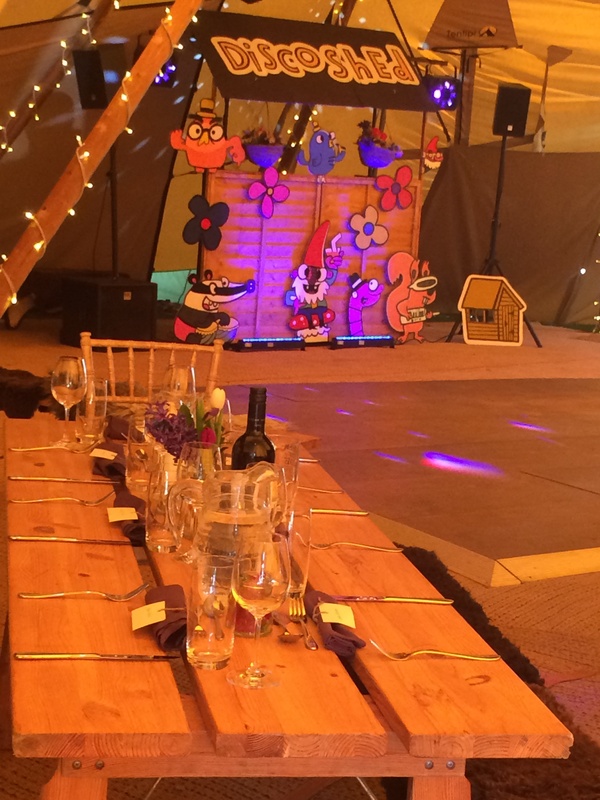 Moving into the Tipis, the new Mr & Mrs Fitzjohn took their seats to a very loud cheer from their guests, they had their speeches first, followed by a Kingfisher barbecue and a trio of desserts all washed down with lots of very fine wine, they atmosphere was electric! It may of had something to do with the ushers all doing shots at our bar pre dinner! Despite very strong winds John cooked a delicious BBQ consisting of Spanish Sausages; lemon & summer herb chicken; Minute Steaks; a Monkfish, tiger prawn & salmon skewers and marinated Haloumi & vegetable skewers. Accompanied by bowls of hand cut chips; Tuscan Panzanella; Rocket, pine nut & Parmesan salad and mixed baby leaves with lime & coriander dressing. Everyone thoroughly enjoyed the feast with many having seconds! The great band got the Tipis rocking the night away and with a busy bar it turned into a rocking party! Everyone enjoyed themselves including all of us! 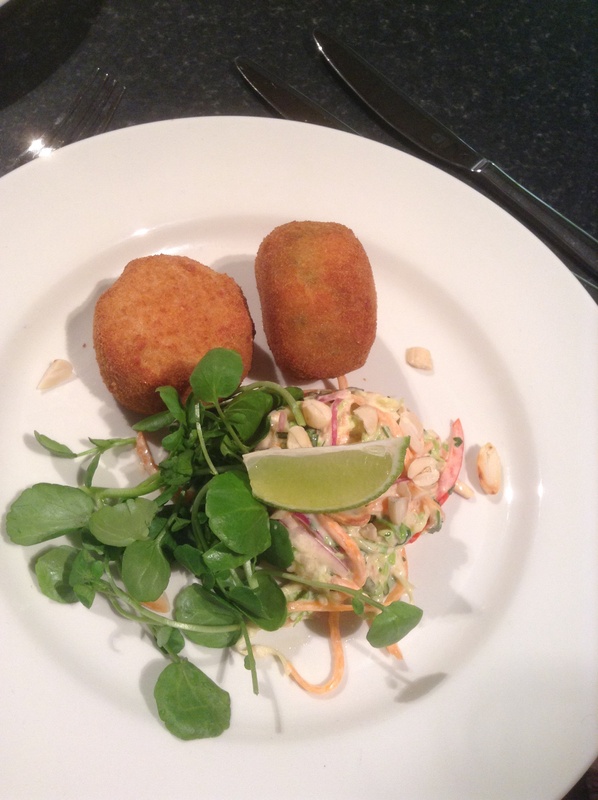 Delightful couple with lovely friends and family, it was a pleasure to cater for them! Starting to get a bit busy! Busy week for the Kingfisher chefs this week, wedding season is upon us and with private parties, corporate lunches and tastings, it’s starting to get very hot in the kitchen! So this week so far we’ve met with two lovely families for menu tastings, John gave our couple on Tuesday night so much choice I think they left more confused than they arrived! A selection of Canapés, starters of meze boards, smoked salmon with celeriac Remoulade and Thai style fish cakes, followed by braised shank of lamb with buttered mash and redcurrant & mint jus, and sirloin of beef with blue cheese dauphinoise, and chicken with a warm salad of butternut, chorizo & green beans! 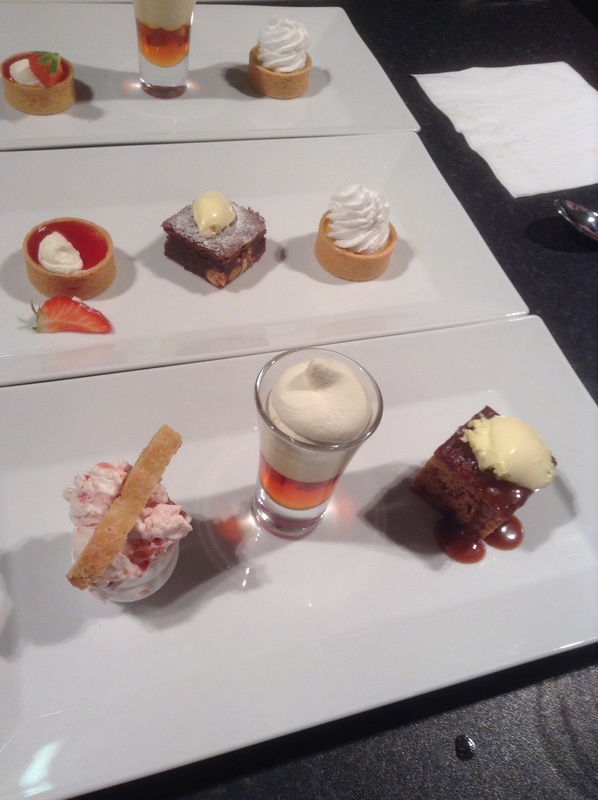 As if that wasn’t enough to choose from he made a selection of 6 desserts for them to pick a trio out of! They did joke and said they didn’t know what to expect and would they call for a take away when they got home! The reality was they probably didn’t eat till today! Yesterday was a prep day for today’s very busy day, with a buffet lunch for 180 guests at Hightown for their annual staff meeting, and 3 separate corporate lunches for nearly 100 guests! Once again John and MJ did us proud with a spread that looked so delicious. 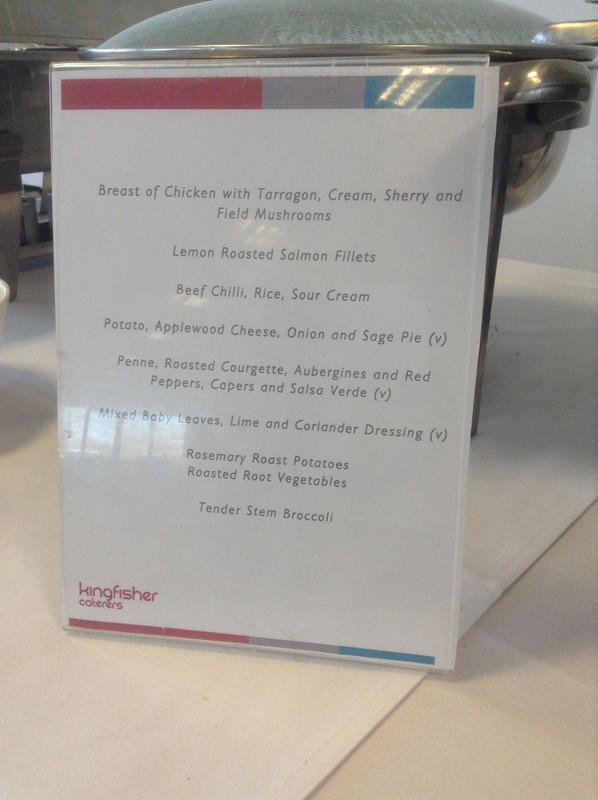 Chilli and rice, chicken with tarragon, lemon roasted salmon fillets and potato, applewood cheese & onion pie all served with a selection of potatoes, salads and vegetables. 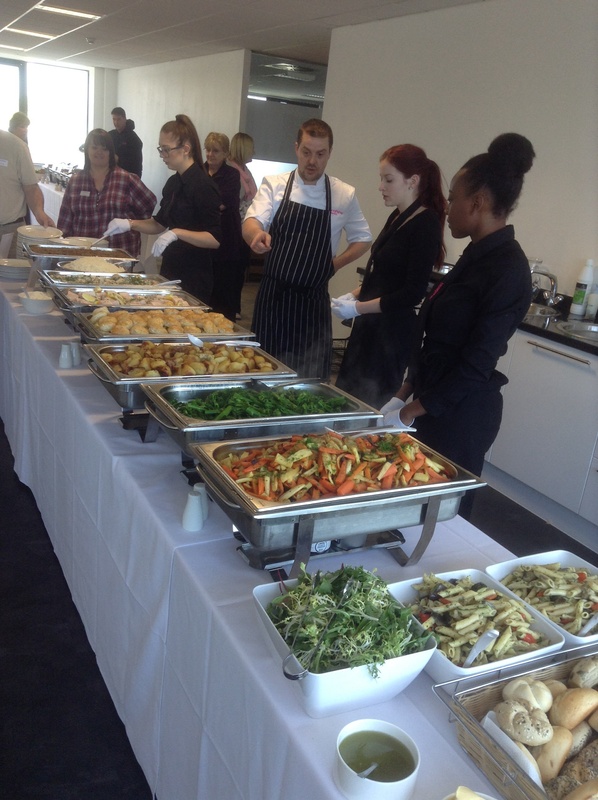 Some guests couldn’t choose but when we explained it was a buffet and they could have some of everything, they did! Beautiful spread. So onto tomorrow, back in the kitchen prepping for Saturdays wedding at Flaxbourne Gardens and a private party for 50 in St Albans! I don’t know how they do it, but I’m glad they do! Well done chefs! 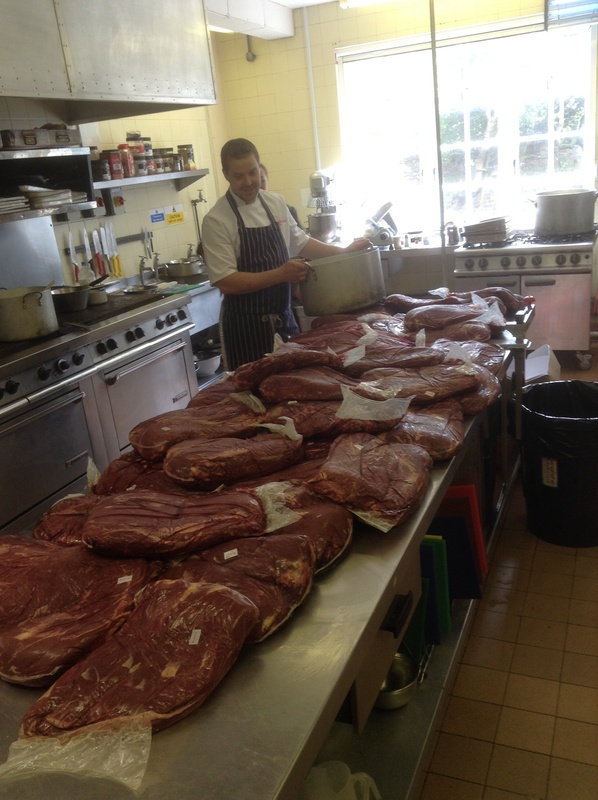 Next week we have over 400 people to feed at a Charity Dinner, braised beef is on the menu, that’s a lot of meat to braise John! Which reception style would you choose? After years of event managing weddings it still amazes me that every one I attend is so different. I suppose everyone is unique in their own way and their ideas of that perfect wedding day always take on a very personal theme. This weekend we had two teams at two very different wedding receptions, both were equally pleasurable and enjoyed not only by the guests but all of us KF staff too. 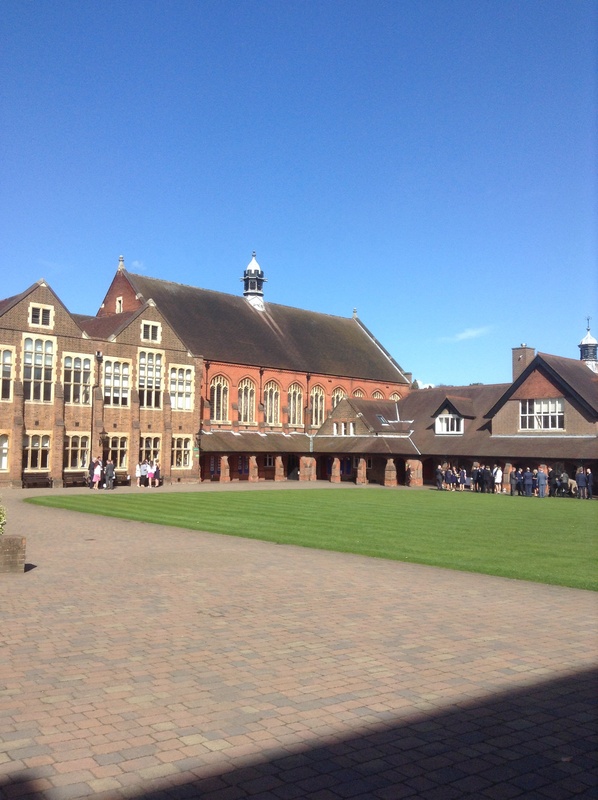 My team and I looked after the lovely Nina & Greg at Berkhampstead Boys School, a beautiful building that made me think I was in a Harry Potter movie! With ornate windows, wood panelling and rolling lawns it was a magical setting. After arrival drinks on the lawns the guests made their way into the stunning hall for the wedding breakfast. Salad of Seared a Duck Breast, Pancetta, pink grapefruit, watercress & a honey and Lavender dressing started the meal. Speeches followed before we served a main course of Rump of English Lamb, Dauphinoise, Asparagus & Chantennay Carrots with Mint Hollandaise. Rolo Chocolate Brownie Stack with Clotted Cream followed by Tea & Coffee. Delicious meal considering it was all cooked in a make shift classroom! Well done chefs! DJ Derek soon got the tunes spinning and with a busy bar the guests partied the night away. Great fun, a lovely lively crowd and a beautiful couple, a pleasure to look after! 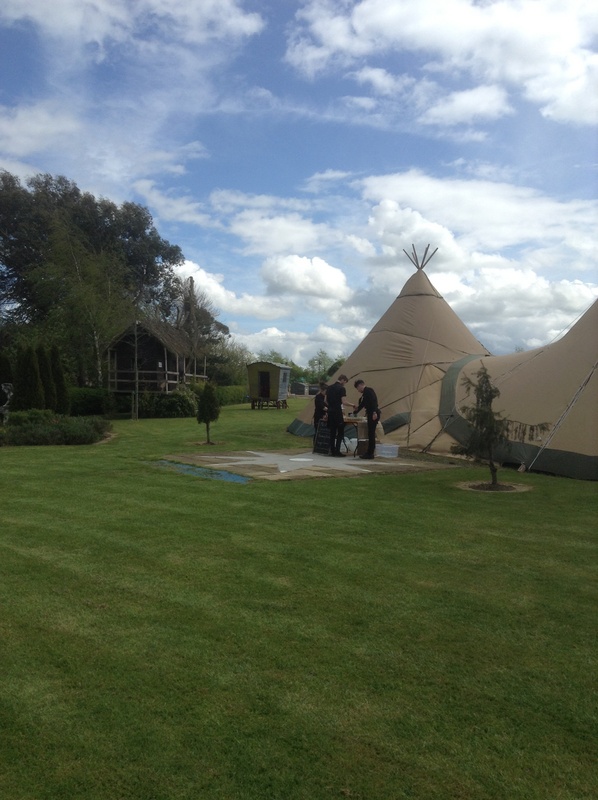 Ian and his team were at the beautiful Walkern Hall for a Tipi wedding for Stephen & Abigail’s reception. Completely different style with canapés on arrival, hog roast served to the tables with salads & potatoes and KF signature trio of desserts for pudding. The Pimms, mint & Strawberry Trifle was a winner! With dancing and revelry going on until late, fish and chips and bacon rolls were served in baskets to the guests. Fantastic disco dancing late into the evening made for a very special day. So, which reception style would you choose? 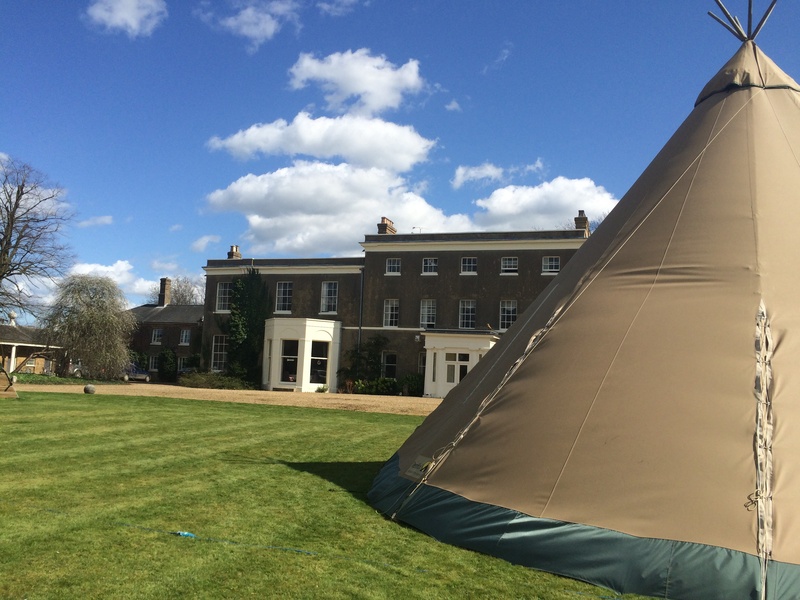 Historical hall or a Tipi? Round tables with linen cloths or bench style tables with sheepskins? 3 course plates meal or hog roast? 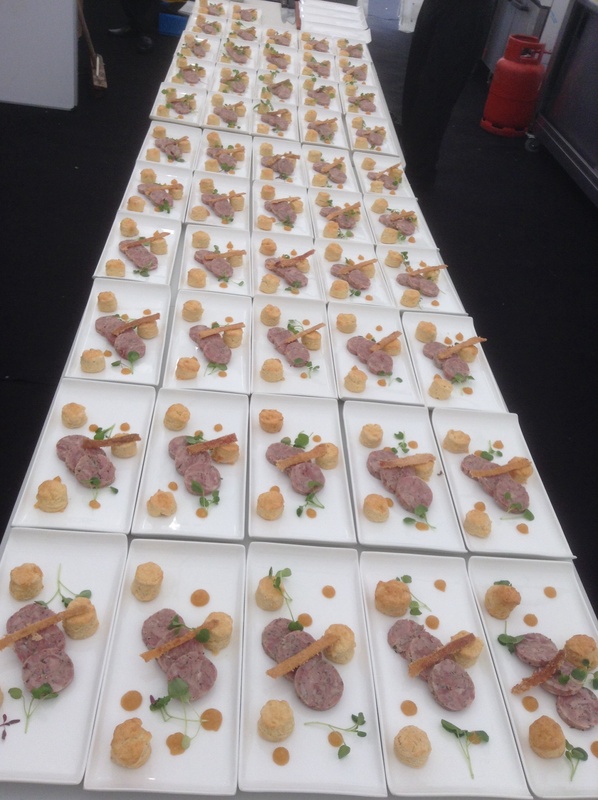 In my opinion they both work well, guests at both events enjoyed themselves, that’s the beauty of outside catering, nothing is standard and everything is possible! What’s next week going to bring? Saturday saw the KF team at the stunning Hexton Manor in Bedfordshire for Simon & Nicola’s reception. After the ceremony over looking the lake the guests has champagne and canapés in the Manor House as the Spring weather wasn’t being kind to us! They did manage to take a confetti shot before all the guests froze! Moving across to the marquee in the walled garden the guests were seated to a three course wedding breakfast consisting of Ham Hock Terrine, mini cheese scones, candied apple purée and sea salt crackling. 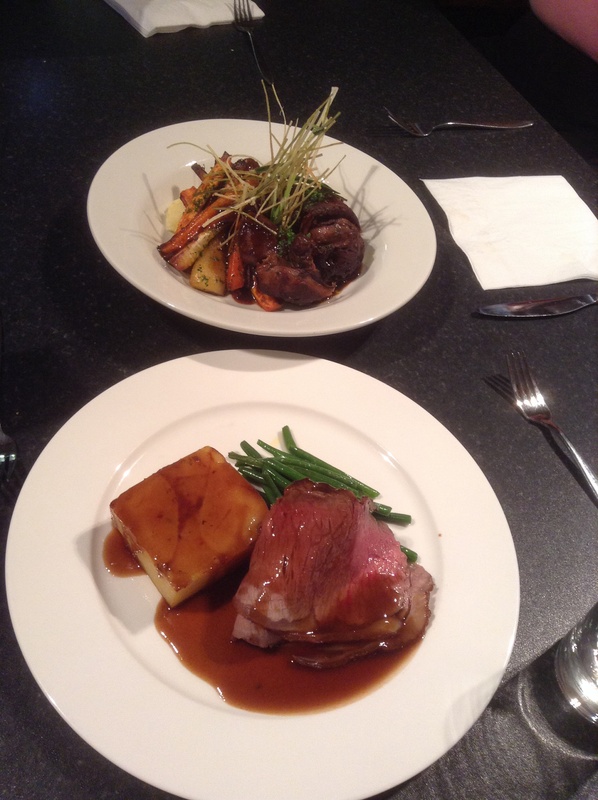 The main course was Sirloin of beef, blue cheese dauphinoise, green beans, red wine jus and roasted parsnips and carrots. A trio of desserts consisting of Sticky a Toffee a pudding, salted toffee sauce, clotted cream; dark chocolate tart, caramelised bananas, chant illy cream; & Eton mess, blossom honey & strawberry shortbread followed by tea & coffee. A great feast, cooked to perfection by awesome chefs! 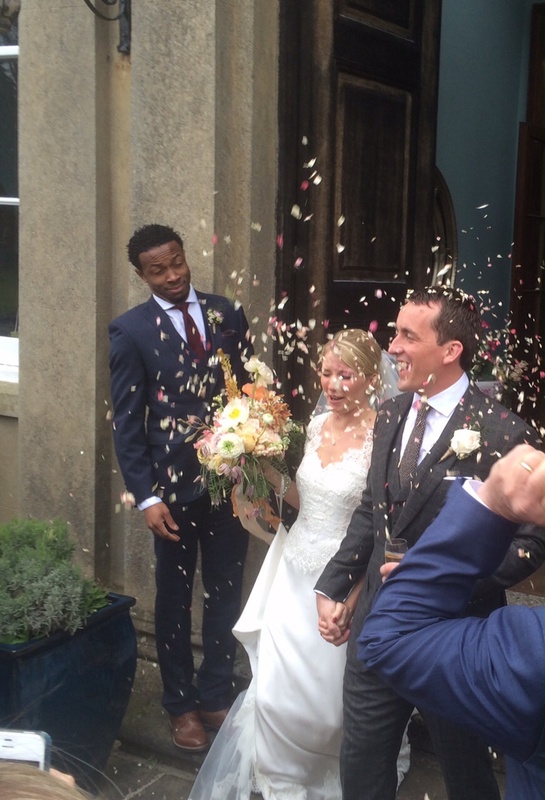 The speeches left not a dry eye in the house, especially the groom’s who also sobbed his way through it! Lovely couple and great family and friends. They danced the night away and partied hard. great way to see off the chilly spring weather! My fantastic front of house staff, always professional but always smiling and having fun! The way it should be! Love working with you all! 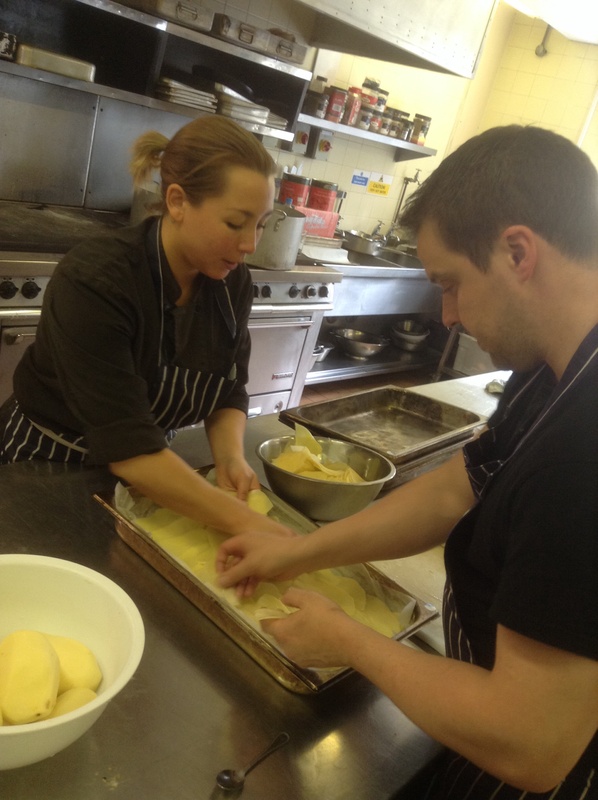 Kingfisher Event Caterers is a family run business, led by owners Dan and Rebecca Kempson since March 2010. 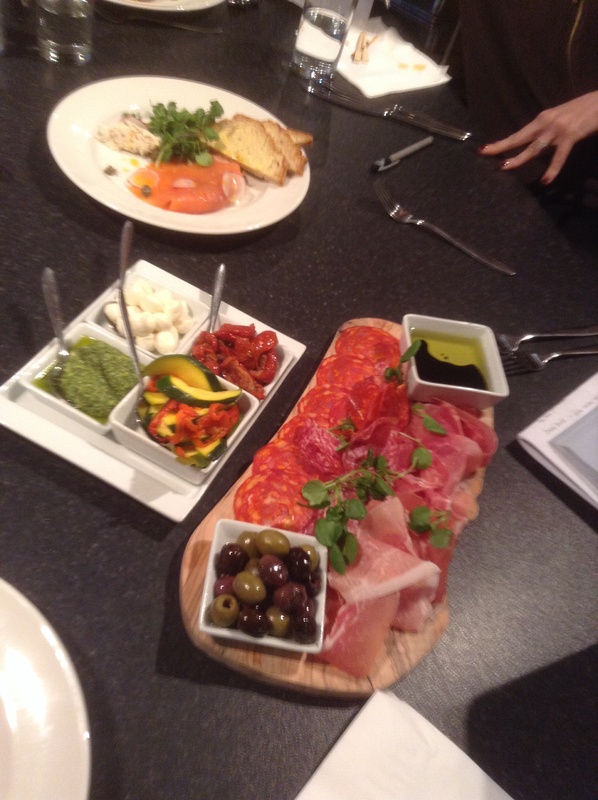 The company has been established for 25 years and has built an enviable reputation as one of the leading caterers in and around Hertfordshire. Our company reputation is built on repeatedly delivering innovative menus, using the best quality ingredients and providing attentive, friendly and professional customer service.